Have you ever wanted to bottle up the way home smells? 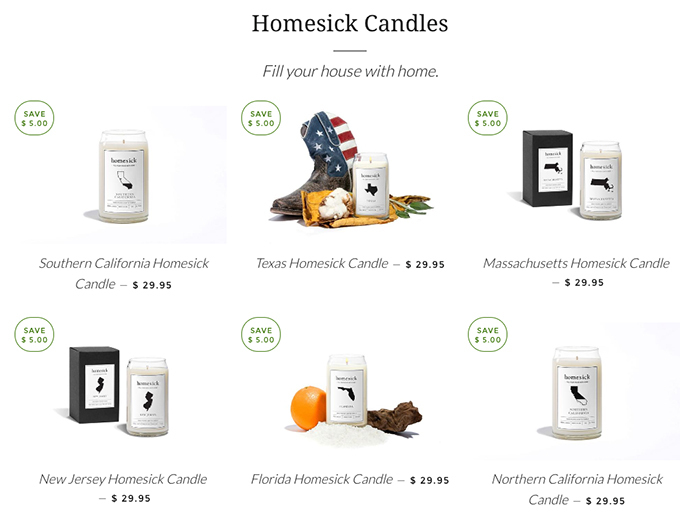 Homesick Candles understands and has created a line of hand-poured candles reminiscent of all 50 states’ characteristics and staples. Each combination of scents is unique to the state. Oregon’s candle, for example, smells like pine tree, hazelnut and pears; Florida is reminiscent of orange, sea mist and driftwood; and Northern California offers hints of pear, redwoods and vineyards. New Jersey on the other hand, smells like the Jersey shore, which, after spending almost five years there, feels questionable to me. 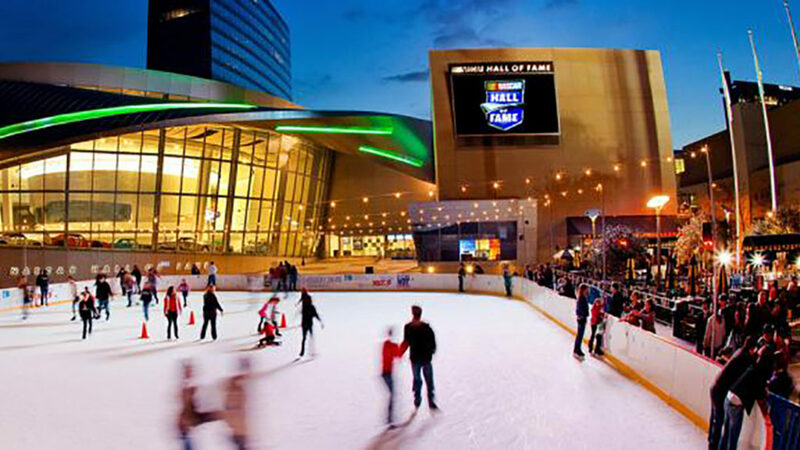 So what does North Carolina smell like? Blackberries and Carolina barbecue, apparently. No word on if it’s of the ketchup or vinegar variety. 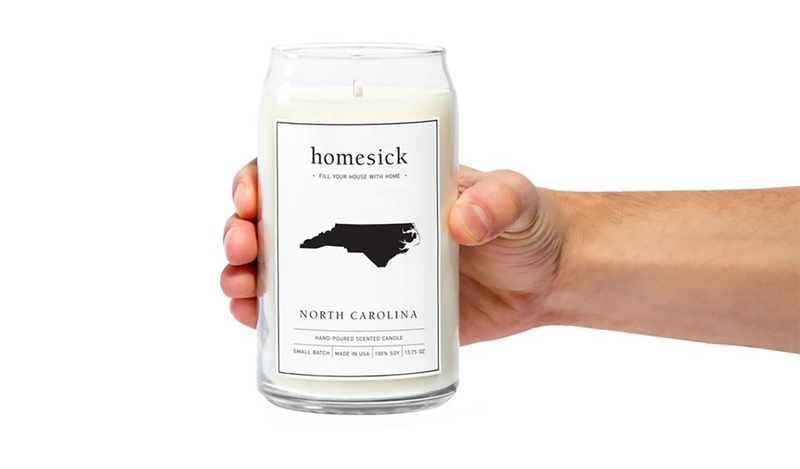 “[The] scent takes you back to the Tar Heel State, reminiscent of fresh North Carolinian blackberries and barbecue,” the description reads, and it aims to help people continue to feel close to the place they call home, regardless of how far they wander. The soy wax candle, which retails for $29.95, clocks in at just under 14 ounces and burns for up to 80 hours. Does it actually smell the way it claims to? Not so much, said one reviewer, who couldn’t smell the blackberries but rather honey, bourbon and pecans, creating a “honeysuckle and pie” scent. The lack of blackberries didn’t dim the candle’s light, and the reviewer gave it a full five stars. 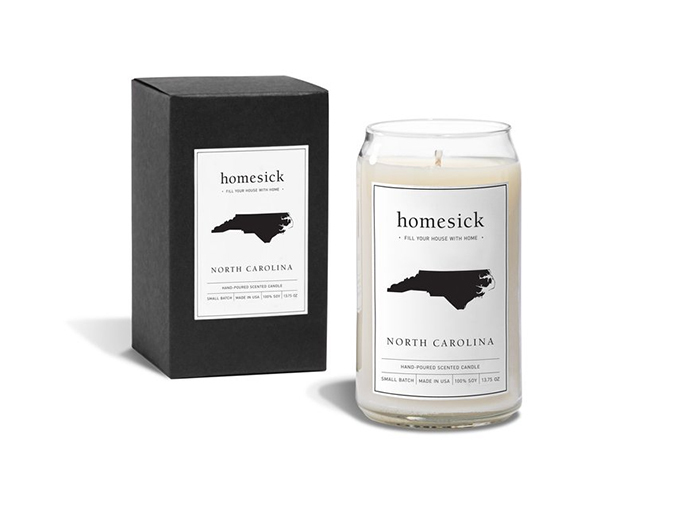 The North Carolina Homesick Candle is available exclusively online and will be poured and shipped within 1 to 2 business days.